At Eye Wellness, we care about the future of your vision. Eye Wellness provides preventative eye exams and vision care for the entire family. We want to help you see clearly and attain your best vision while learning how to maintain healthy eyes for a lifetime. We promise to provide our patients with leading edge care so that they may have superior vision & maintain a lifetime of healthier eyes. That is a good thing! The earlier kids adopt healthy habits for their vision, the healthier their eyes will be. At Eye Wellness our team of optometrists and eye health professionals in Niagara Falls, ON educate and inspire children of all ages on how to keep their eyes healthy. We do this in fun and innovative ways that help children understand the importance of eye heath from an early age. 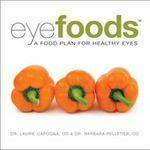 Dr. Laurie Capogna co-authoured the book EyeFoods, and EyeFoods for Kids with Dr. Barbara Pelletier. 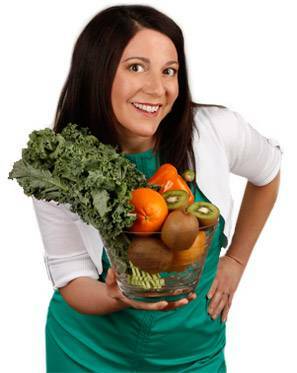 people regarding the benefits of good nutrition and vision. discover the power of foods for the prevention of eye disease. On November 10, Women In Optometry presented its first awards recognizing women ODs for excellence in the categories of leadership; mentorship and education; and innovation. More than 160 people nominated women ODs for these awards; the WO professional advisory board voted on the final selection. WO congratulates Dr. Laurie Capogna! Click here for the full press release including more details on the awards and their recipients.